Canon Solutions America Celebrates 10 Million Impressions Milestone by BR Printers, a Leader in Digital and Book Printing in Silicon Valley | Industry Analysts, Inc.
MELVILLE, N.Y., Dec. 11, 2018 /PRNewswire/ — Canon Solutions America, Inc., a wholly owned subsidiary of Canon U.S.A., Inc., celebrated a milestone for BR Printers, a leader in digital and book printing, as they reached more than 10 million impressions in one month on the Océ VarioPrint i300 inkjet press. Based in Silicon Valley, BR Printers has become one of the top providers of production print nationwide by maintaining an innovative, entrepreneurial mindset throughout the industry’s evolution. 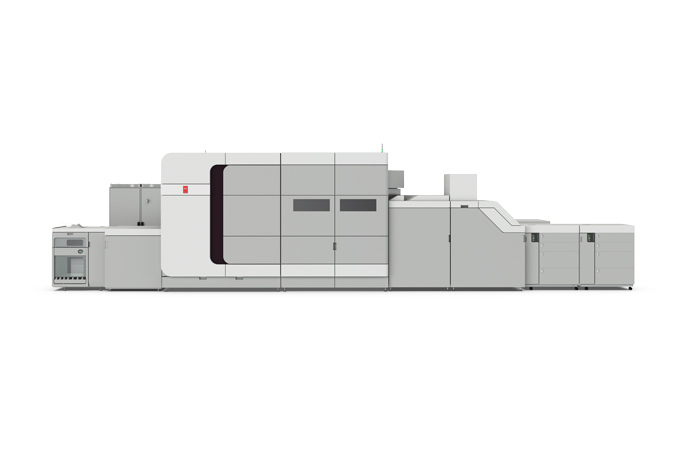 BR Printers’ innovation combined with Canon Solutions America’s printing technology have contributed to the success of the company’s book printing business, in particular. Traditional offset printing in years past was very expensive and slow, and once a book was bound, content was unmovable and would quickly be out-of-date. Recognizing these concerns, BR Printers developed a technical process of clipping the binding of outdated editions, printing and inserting new content throughout, and then rebinding the edition. With this method, they are able to reduce time, cost, and waste. And, importantly, customers are now able to keep their books and materials current and relevant. This entry was posted in Canon and tagged Book Printing, BR Printers, canon, Canon Solutions America, Océ VarioPrint i300, Silicon Valley by IA Staff. Bookmark the permalink. Next → Next post: Digitex Acquires!